Best Buy is having a 3-Day Sale. Get the hottest deals on gifts they’ll love. There are sales in all departments – you can shop deals by category online. The sale is available in-stores and online from November 6-8, 2018. 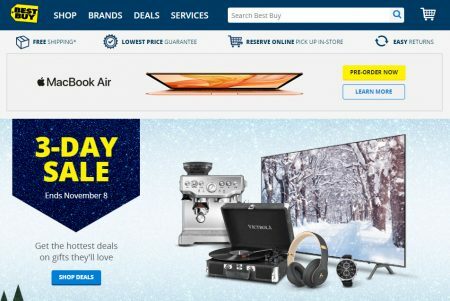 Best Buy offers free shipping on orders over $35. Click here to shop Best Buy online or for more details about this sale.